This trip is full... please sign up for my mailing list if you want to hear about future trips with me! Time for our next knitting adventure! This time let's explore Scotland together.... we start and end in Edinburgh. A SUPER big treat is that I've timed the trip to be in Inverness for Loch Ness Knit Fest! Day 1: Arrive in Edinburgh and enjoy a scenic tour of the city on our coach. We will be stopping for a yummy lunch and then touring a bit more before checking into our hotel to rest up before our welcome dinner. Day 3: After a big group breakfast we will head out to Fife to have a workshop with Di Gilpin. 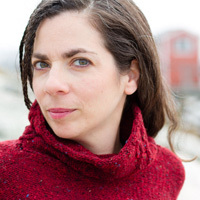 We'll learn about the history of Gansey knitting in Scotland and look at samples of both traditional pieces and the more contemporary designs from her studio.Then we'll learn some traditional gansey stitches by working on blanket squares in her yarn. After that we'll take our appetites to a cafe that specializes in cheese making (YUM CHEESE!) 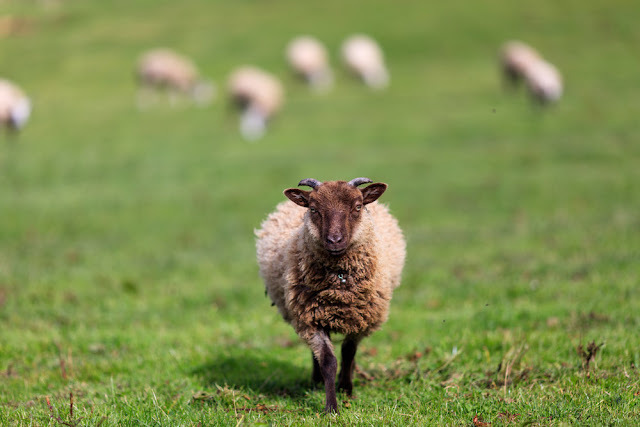 for lunch, and then head to Claddach Farm to learn about specialist, pedigree and rare-breed animals, including various commercial sheep breeds; Cheviot, Texel and Bluefaced Leicester. Then it is onto our next hotel just outside of Perth where we will settle in and have a group dinner together. Day 4: Oh, this is going to be a fun day! Another yummy Breakfast in the morning, followed by a visit and tour to Scone Palace. 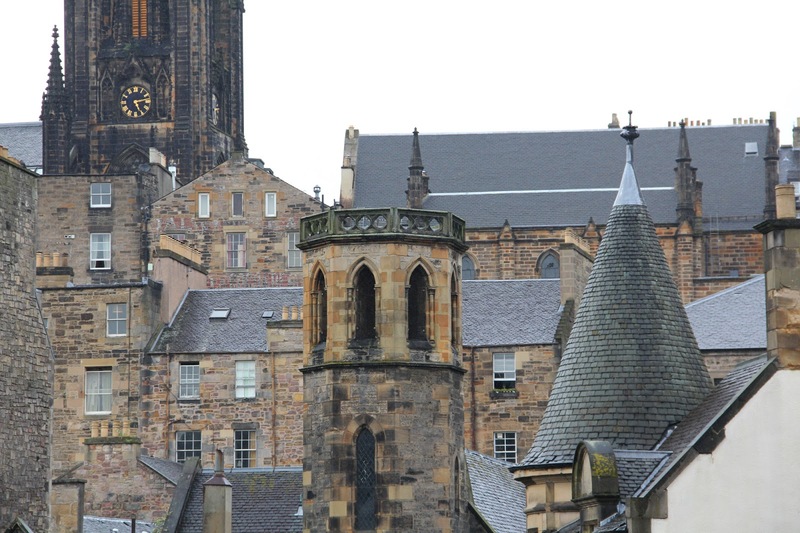 This was once the crowning place of Scottish Kings and it is steeped in history. After some free time for lunch we will head to Askival of Strathearn for a kilt making demonstration. I am super excited to do a deep dive into the history of kilts, styles of kilts, and the different techniques used to make them. We'll have dinner on our own tonight, either at the hotel or in Perth! Day 5: First breakfast, then we leave Perth and make our way to Inverness in the Scottish Highlands.... driving through the picturesque town of Pitlochry, our first stop is Edradour Distillery for a tour and tasting. Wee dram before lunch anyone? Then we'll head to Knockando Woolmill for an intimate look at Scotland's oldest working mill. Afterwards we'll go to Inverness and our hotel. Some may choose to drop their bags and head to the Ceilidh (traditional Scottish event with music and dance) at Loch Ness Knit Fest while others can relax at the hotel and enjoy dinner in Inverness. Day 6: Enjoy breakfast and then this day has two options... you can go to Loch Ness Knit Fest all day (and optionally sign up for classes when they release mid-March), or you can take our tour bus to the Highland Folk Museum... this is one day I need a time turner as I want to do both! The evening will see us all together at the Highland Feast organized by the Knit Fest. Day 7: After breakfast (sense a theme here?) we will pack up and travel towards the Isle of Skye, after stopping at Loch Ness to take in the views (and obviously see a Loch creature). 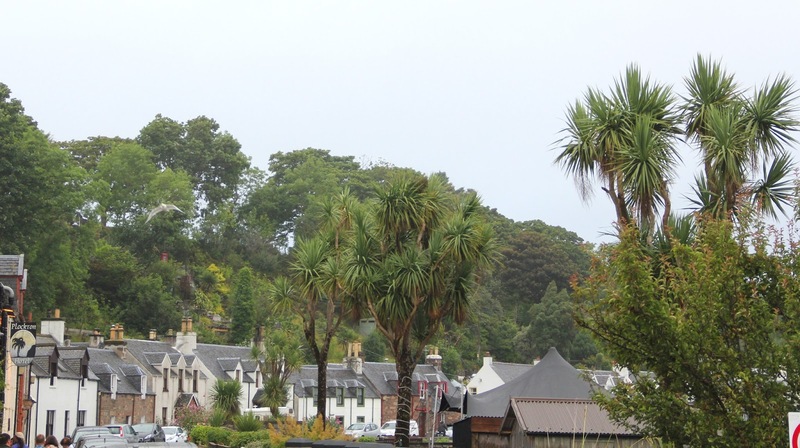 We'll be spending the majority of the day in Plockton, a lovely little town at the gateway of Skye (yes, it has palm trees... we'll talk about that). 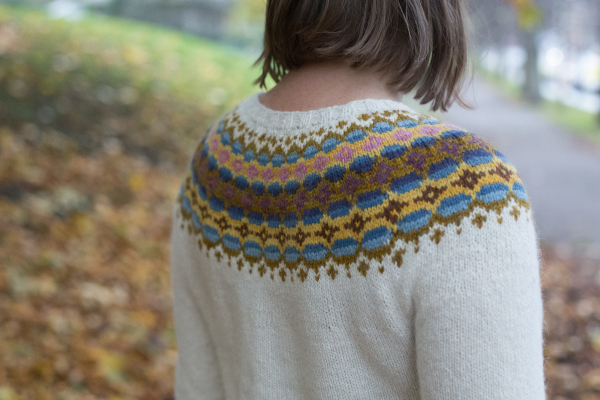 In Pockton we'll study Fair Isle with Sarah Berry and naturally dyed yarn. We'll eat a traditional fish soup (don't worry, there is another choice if this isn't your favorite) for lunch. Then we'll jump back in our bus and head to Skye for the evening. Day 8: First, breakfast (again?) and then we adventure through the Isle of Skye we'll see the Trotternish ridge with its spectacular cliffs and rock formations, including Kilt Rock, the mountain pass of the Quiraing and of course the famous Old Man of Storr. Then we go to Shilasdair Yarn Company which specializes in naturally dyed yarn. We'll get a yarn dyeing demonstration and then enjoy their cafe (which specializes in PIE!!!). Afterwards we'll travel to Island on the Edge, a working fiber farm, to meet their sheep and learn about the challenges of crofting on the west side of the island. Day 9: Today we have an early breakfast and then take the ferry from Skye to the mainland which means we get to take the STUNNING 'road of the isles'. We'll stop at Glenfinnan and Glencoe. This is a seriously breathtaking drive, so don't expect to get a lot of knitting done on the bus this day! 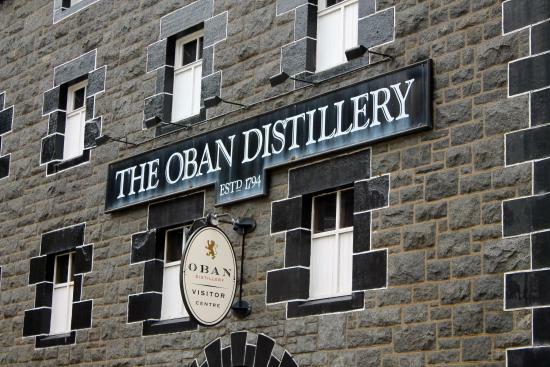 We'll arrive in Oban in time for a tasting and tour at the Oban Whisky Distillery (we'll need it after a day on the bus). Then we'll check into our hotel and enjoy dinner together! Day 10: So, we'll have a great breakfast and then enjoy our last full day together. We have a treat at the Auchindrain Township, which simulates what life was once like in the Scottish Highlands. We will participate in a 'Sgioba Luaidh Inbhirchluaidh’ which translates to the ‘Inverclyde Waulking Group'. 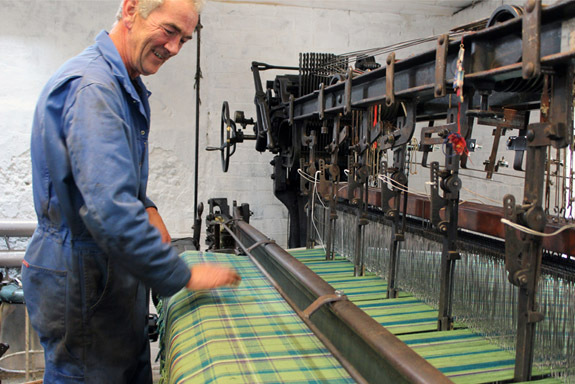 Waulking is a method of finishing newly woven tweed by soaking and thumping it steadily to shrink and soften it. The group sings Waulking Songs as they work! Wait until you hear me sing, you'll be glad the trip is almost over! Afterwards we'll head to Inverary for lunch and a walk about town and then onto the shores of Loch Lomond to take in it's gorgeous views. We'll end the day back in Edinburgh and join together for a scrumptious farewell dinner. Entrance to the following attractions: Edinburgh Castle, Scone Palace, The Highland Folk Museum or Loch Ness Knit Fest, Glenfinnan Monument and Museum, Auchindrain Township. To secure your place a deposit of 20% of the total cost is required. Me too! 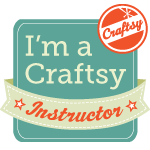 Now that you are signed up you can register for classes at Loch Ness Knit Fest! Have you checked them out? We are there on Saturday! Sounds like an exciting excursion! LOL... that is my husband's saying! And I just added the cost to the post! I just added the cost in! Scooter and I would be in for sure if it wasn’t during Rhinebeck! Oh my! I would so love to do this trip but just can't this year...hoping you will keep planning these excursions so that I can participate sometime!! Me too! I'll work on one for spring 2019 next! Do you find roommates for people? I can match you if you want to share a room : )! The flight costs and schedule are not mentioned??? You book flights on your own, the itinerary that I send you when you e-mail me for it tells you when/where to meet the group! That I am responsible for my own flight. Do you have recommendations for arrival and departure times? Yes, and the detailed itinerary has those details... just e-mail me for it! I too am wondering about airline tickets and times, also how room mates are determined. I'm SO hoping to go, have been waiting a long time for something like this to be offered !! Hi! Flights are booked on your own, details about timing are in the detailed itinerary, just e-mail me through the link above for it! Thanks! Hate to ask, but have you info on bed sizes and stairs required? Will you put me on a waiting list just in case someone ends up with a conflict? 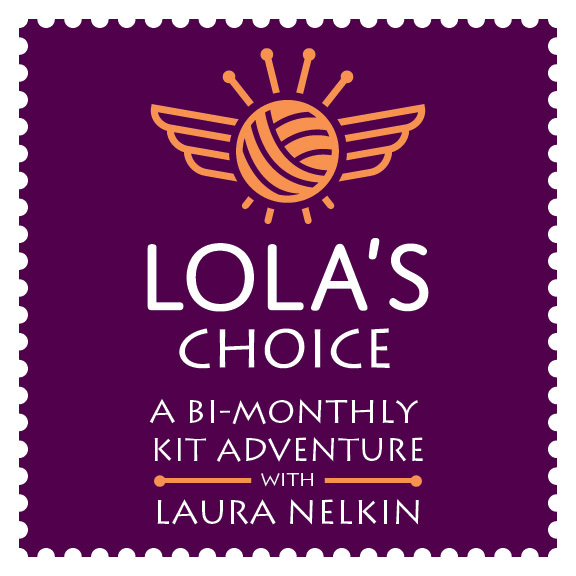 Hi Laura, Are the prices listed the same for knitters and husbands? Bob and I are discussing this trip for spring 2019. I appreciate your insight about Dental Floss, it's extremely educational and more depicted points of interest. Book Reviews: March's 1st Quarter KAL Prizes!